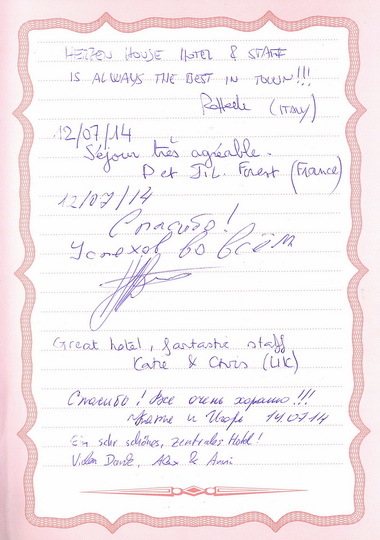 Here you may find some traveler reviews about Herzen House Hotel both left in our guestbook and submitted online. You may also share your travel experience on your favorite booking engine, or online travel community. Hyggelig og utrolig hjelpsomt personale. The staff is very friendly and helpful. Probably the best place I’ve gone to! Hotel je veľmi príjemný, tichý. Excellent hotel, perfect location and super friendly staff! This was certainly a great deal. The hotel is just GREAT! Спасибо большое.Приезжали к вам второй раз, всё замечательно. Обязательно к вам вернемся ещё. Ольга и Элеонора, Москва. Great place. Very central. Clean and comfortable. Sean, Loke + Josh, Australia. Y all were very helpful! we had a great tie here in St. Petersburg! Thank you so much! The Engles Craig. Houston. Texas. Everything was perfect, we enjoyed a lot at the here with everything. Thanks. Torkish group. The hotel is excellent and the staff is very considerate. I would really like to come back here again.Marianna. Italy. All very considerate staff in a very pleasant hotel. We would definitely come back.Jim and Maria. Canada. Мы из Женевы. Прекрасный отель и замечательный персонал. Спасибо и нижайший поклон. С уважением Балашова Л.Г. 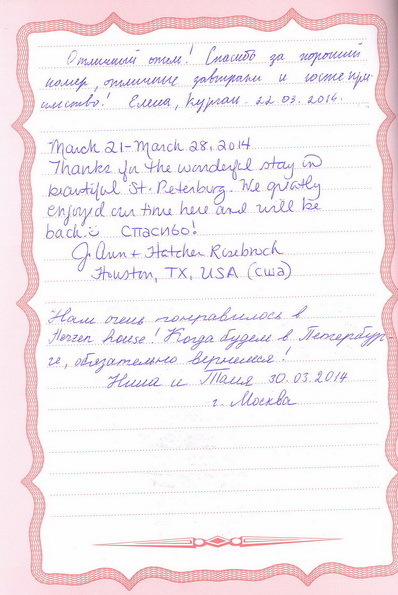 Thank you for our kind welcome to St. Petersburg and Herzen House. Your hotel is lovely. The staff was very friendly and helpful. We very much enjoyed our stay. St. Paul’s Episcopal Church youth group. Richmond VA USA. Thanks so much. We feel very lucky to have been able to stay here. Your hotel is a real gem, clean, comfortable and convenient. 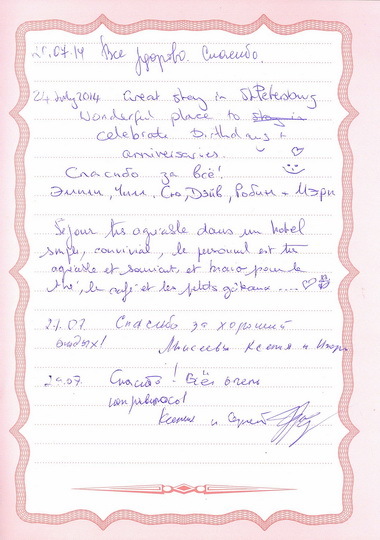 The staff is very nice and helpful, Alla and Ekaterina were exceptionally wonderful, very pleasant and patiently answered all our questions. We would recommend you to anyone visiting St. Petersburg. Sue and Phillip, New York. It was like our second honeymoon! You made me feel like I am at home. Merci pour le chaleureux accueil de l’hôtel et pour disponibilité de son personnel. 4 avril 2012 Merci pour le chaleureux accueil de l'hôtel et pour disponibilité de son personnel. J'ai choisi l'hôtel Herzen car je suis un descendant direct de A.I. Herzen. Sa plмus jeune fille, Olga, fut mon arrière grand-mère. Je l'ai connu car le jour de ses 100 ans j'avais 8 ans et je participais à la célébration de son anniversaire. J'espère revenir dans cet hôtel comfortable et chalereux. Joël Amphoux. Le personnel très accueillant tant pour la préparation du voyage que sur place. Every single member of staff was first class. Très bonne situation pour visiter la ville à pied. I’ll recommend this hotel to my friends. We had a most enjoyable time at your hotel. 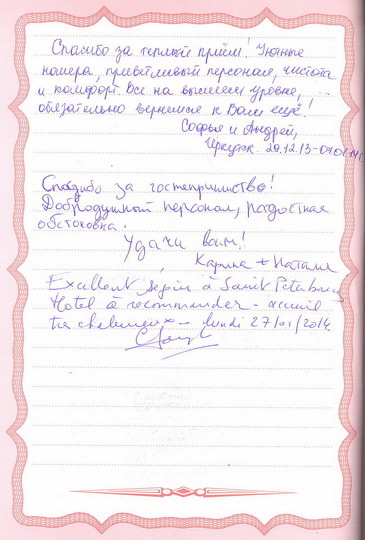 Thank you for a lovely stay in St. Petersbourg, comfortable rooms smiling helpful staff and lovely breakfast lady! 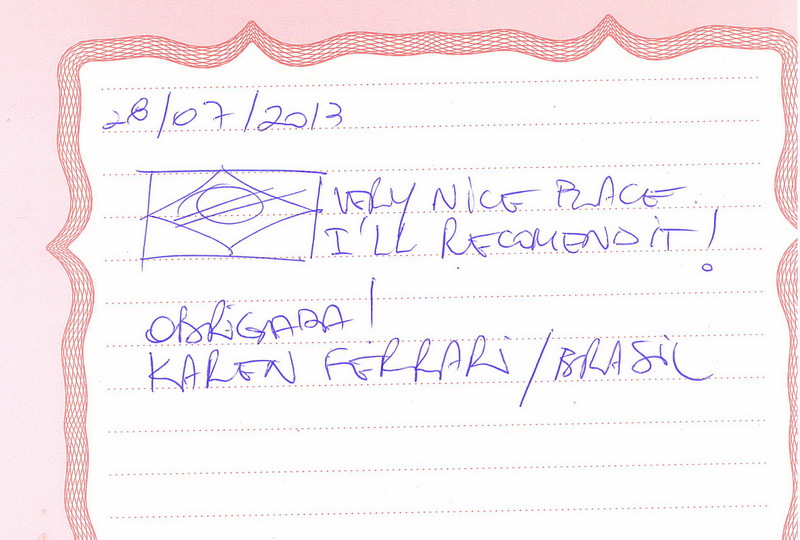 We will recommend everyone in London. I will definitely come back! Thank you all for helping to make our stay in St Petersburg so memorable. Ray and Val Wilson. I am writing to say a ‘BIG’ thank you. Easy walk to all major attractions. Helpful English speaking staff. Breakfast more than adequate - and could make tea/coffee outside breakfast hours.Read more Henry Zelas, Christchurch. Herzen house un hotel excellent rapport qualité/prix . Very nice weekend in sunny St. Petersburg. Lovely city! Thank you for the comfortable stay and wi-fi connection. Riikka, Finland. 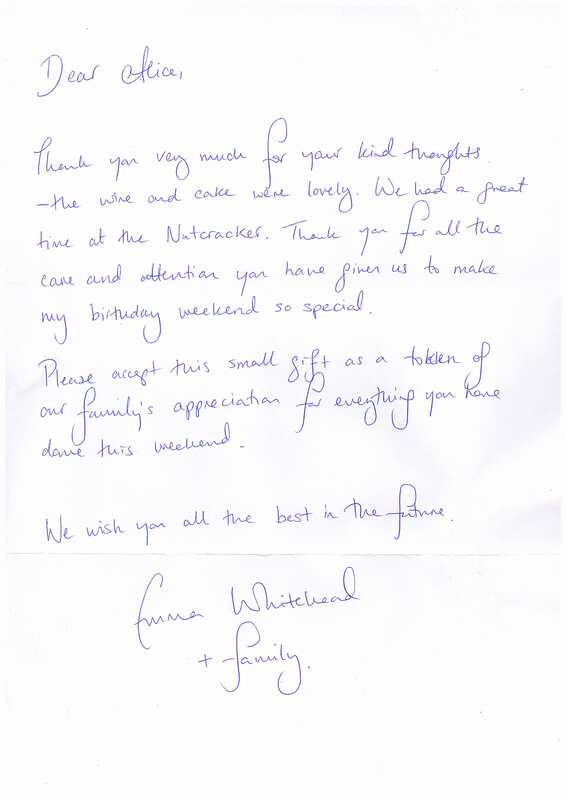 The staff was great and very responsive to any requests. The rooms were spotless, quiet and comfortable, but small. The breakfast which is included in the room rate was good. It is also in a very good location and only a short walk from the Hermitage. There are several restaurants and a small convenience store close by. We stayed there for 7 nights and would certainly go back. They are a small property and fill up quickly, so you must book several months in advance if you will be in St. Petersburg during the tourist season. They have a good web site and are prompt in responding to any emails.Agoda traveller. Beautiful hotel! Magnificent city… extraordinary cuisine+ sweet people, very hospitable. Love from Ann Arbor, Michigan, USA. University of Michigan. Hospital. This hotel was very nice with us. The rooms were great and spacious, we had everything we needed. Thank you so much for having us here we are very grateful. 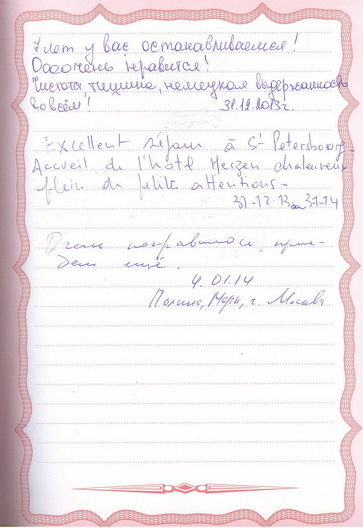 We have been so satisfied and glad to stay at Herzen Hotel. The staff was very nice and helpful. 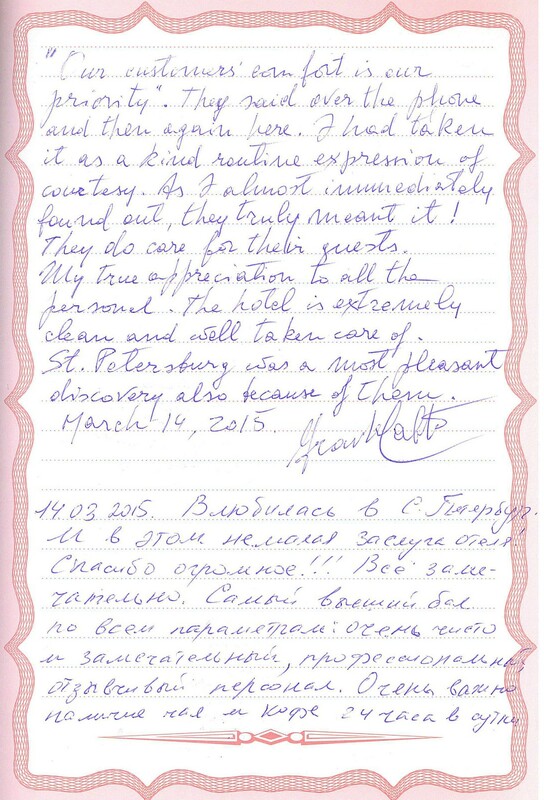 We will recommend the Hotel and come back soon. 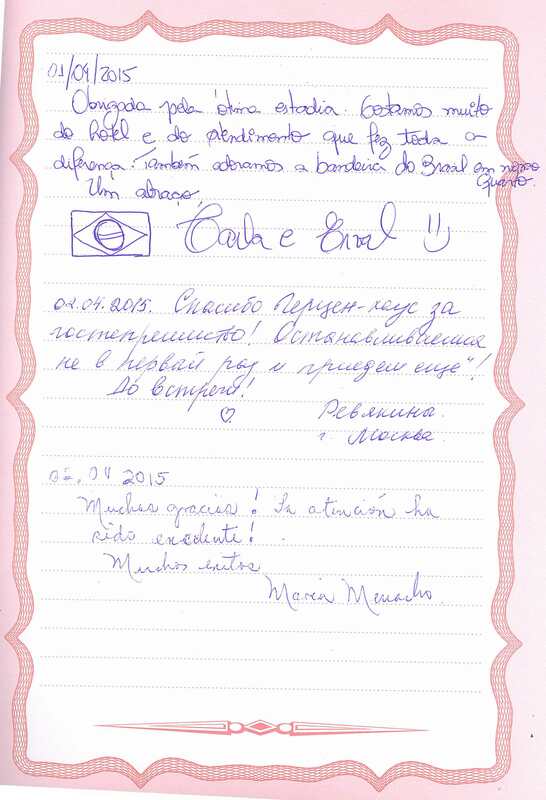 We want to thank you so very much for your hospitality and making our stay in your magnificent city most memorable. You all went out of your way for us and we thank you. Tall your president you are Russia’s next ambassadors. Thank you to Management and Staff. It was a good time here and in Russia.Thanks for all! Helena Hawaii, Spain. Superb location nearby Heremitage makes this place worth to take a shot. Although rooms were quite small there was everything you could need. Staff was really friendly and their english is good enough to make your point. Breakfast was amazing. When coming back into St.Petersburg this would be my first choice. We stayed a week during a very hot spell and found the room clean and comfortable. Adequate breakfast,superb location. Excellent value in an expensive city. Saimme hyvaa palvelua, hotellin suosituslista ruokapaikoista oli hyva. Huone oli pieni, kylpyhuone iso, hotelli oli siisti. Teekutsu oli mukava. Ei oikeastaan. Hotelli ei sovi sellaisille jotka haluavat "luksusta". Η πολυ καλη εξυπηρετηση του προσωπικου, η πολυ καλη τοποθεσια του, ολα τα ενδιαφεροντα σημεια τησ πολης σε αποσταση περιπατου. A well located hotel, close to everything. Very friendly and obliging staff. Nice clear rooms. Personable stay. Thank you. 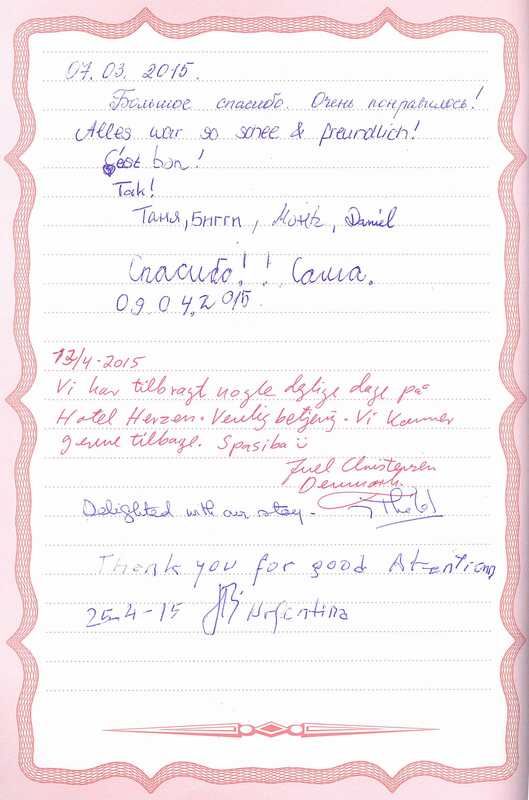 Staff were very helpful, cleanliness was faultless, location was excellent close to the main tourist sites. They also offer free tea, coffee and biscuits all the time which is welcome after a day's touring. Breakfast was good too. The double bed was a bit small. The hotel is perfectly located to the Palace Square, St. Isaac's Cathedral, The Admirality, the State Hermitage Museum. There are a lot restaurants around. Quiet hotel, good comfortable rooms, but there was misunderstanding about smoking in the hotel. It is not prohibited but administration asked to refrain from smoking during breakfast hours and while being in guest rooms. Superb location nearby Hermitage makes this place worth to take a shot. When coming back into St.Petersburg this would be my first choice. Great location, friendly staff and nice stay. Perfect hotel with perfect staff and location - even for disabled. At the perfect location this hotel is situated close to everything and for a fraction of the hotels 5 minutes walk away on the high street. 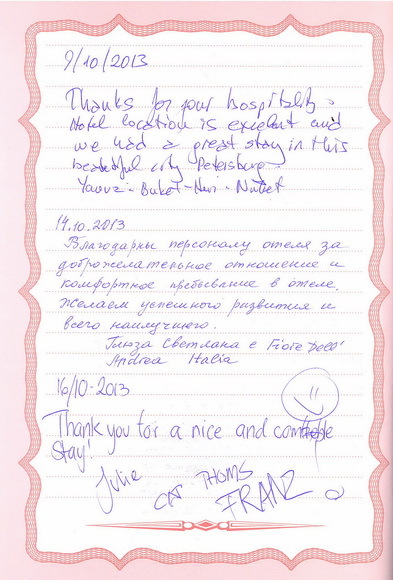 The staff is on call 24 hours and speaks good English (which seems to be quite rare in Russia). This hotel works good for a disabled in wheelchair as well, but the rest of the town is not very handicapped friendly, but we managed just fine anyway - everyone is very eager to help. Hotel did not have their own restaurant but a lovely breakfast buffé and lots of restaurants close and even next doors. 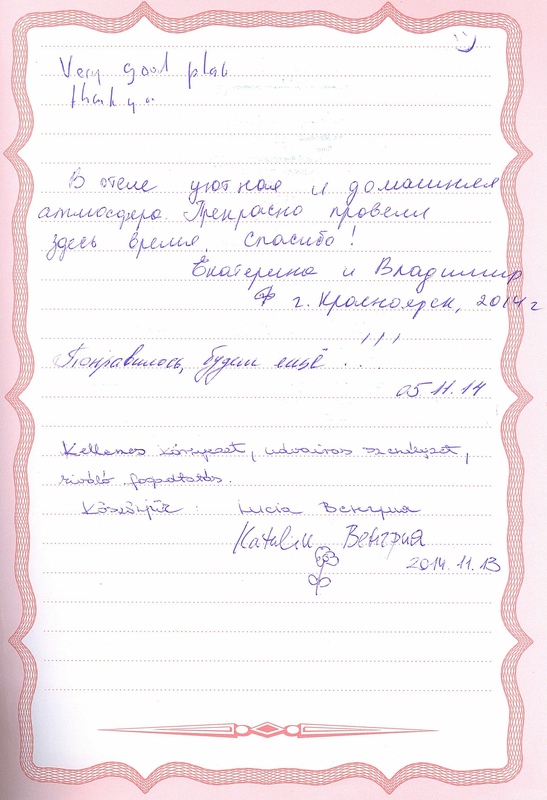 We are already planning to go back again, perhaps next summer, as a week was too short to see all that St Petersburg had to offer - and we would also like to bring my husbands parents with us so they can experience it with us. We will of course chose your hotel that trip too as the service was excellent and the staff most helpful and didn't see the wheel chair as a problem. We would absolutely choose this hotel for our next visit in this lovely city!! Highly recommended! Convenience location: 5 min walk to Issac cathedral, Nevsky Prospect, 10 min walk to Hermitage museum, 15 min walk to Kazan cathedral and metro. The stuff are very friendly(it looks a part-time student? ), sometimes the stuff holds a tea party. speedy wireless internet and power connector exchange is in the room. I may use same hotel if I'll go to St. Peterburg again. Thanks staff! When I told you that we were very pleased with our stay, at your hotel, 2 weeks ago, I was very serious. So much so, that I referred Neal & Esther Zalenko, who were traveling about 10 days behind us, that yours was a good place to stay. They took my advice and also stayed at Herzen, and now that they have returned to the United States, they thanked me for my recommendation to Herzen. So now, you have made two more friends in the United States. This is a nice, clean, centrally located hotel (we walked to St. Isaac's & Yusopov Palace and Nevsky Prospect), with free lobby internet PC and wi-fi throughout. The Front Desk staff was exceptionally helpful (calling taxis, arranging transfers, etc) and everyone of them spoke English. These are plain rooms, in a plain hotel (nothing fancy) but with a King Bed, comfortable chairs, decent working desk space, generous closets, large bathroom with shower AND bath, TV and a Free Breakfast...and at a price that cannot be beat. 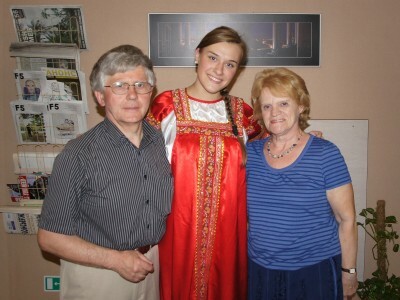 We finished our River Cruise from Moscow to St. Pete and stayed at Herzen from Sat thru Tues. If you're not looking for "fancy", this is a hidden "value" gem for the money! A clean and basic room with a good bed, tv with one english channel and lots of other language channels, good wifi in the room and a reliable and not busy computer in the reception area, a very good bathroom and a very good and friendly breakfast you pay for the very convenient location with some street noise. 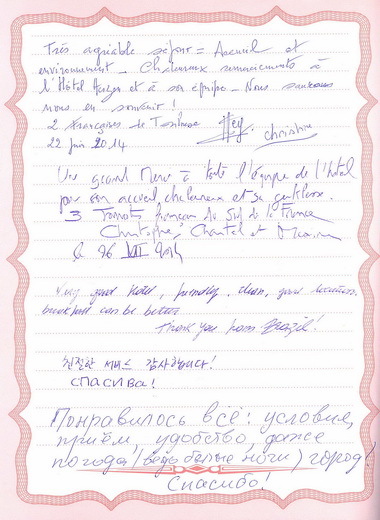 We spent 4 days (and night) in SPB and the choice of the hotel was very important. This location is close to everything and the mini hotel is very pleasant: the rooms are nice, spacious and silent. 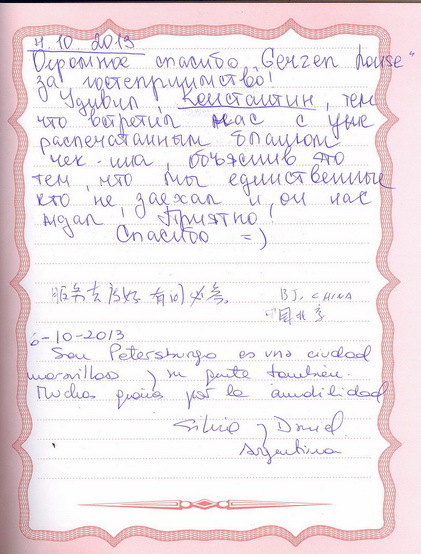 The staff at the reception speaks fluently English and is very "customer satisfaction" oriented. A very pleasant stay. I know it has been a while since I stayed at Herzen House but as promised here is my opinion. I enjoyed my stay very- very much. I did not expect the place to be so small, cozy and professional. Rooms are very nice, free WiFi in all rooms is the best thing across Russia. Food is good, tea/coffee 24h service is great too, especially in winter time. And of course at last but not least, the most important - staff. No matter who was at the reception the service was perfect. You are all very helpful and understandingly forgiving to us strange foreigners. Thank you very much again. Just Great accommodation! Herzen House Hotel was perfect in terms of location it's really only 5 min. walk to Hermitage and Nevsky prospect, 15 min. walk to St. Isaac's Cathedral and other tourist attractions. The hotel itself was not that big, on the 4th floor of the building, with a lift and quite spacious rooms. The room was equipped rather good (can be compared to the 3-4 star hotel room). 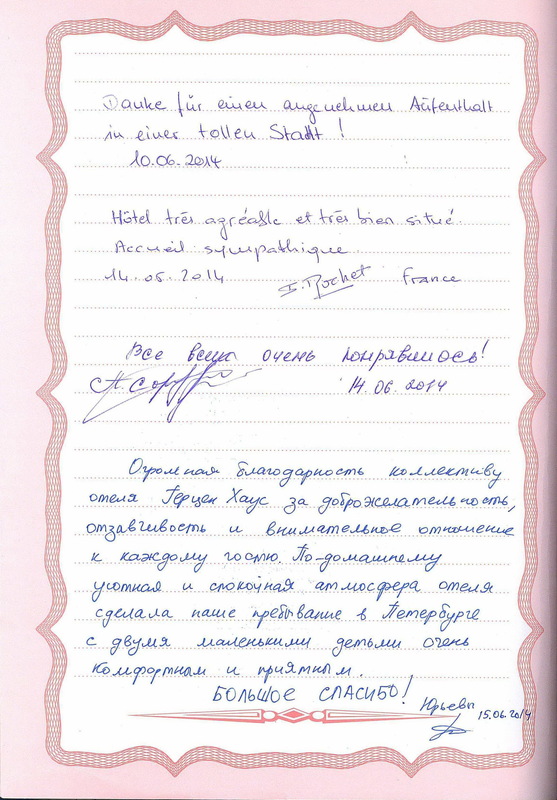 The staff was polite and helpful with all our requests concerning the theater tickets, airport transfer and visa invitations. Most likely to return back to this hotel! I came to St Petersburg to visit my Russian friends whom I already know for quite a long time. 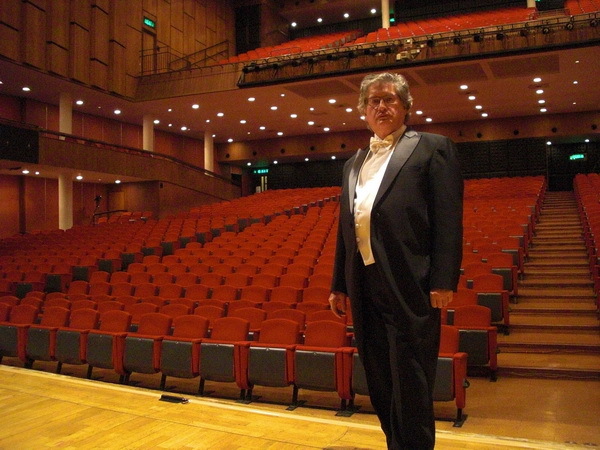 This year I decided to visit them in May, as I was advised that the May holidays is the good time for coming. My friends had the days off and plenty of time to show me the city. 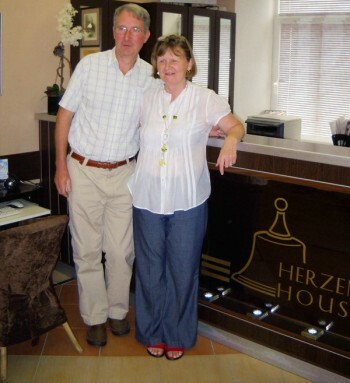 They also arranged me the accommodation in Herzen House, as their apartment was not that big for guests. I've relied on their choice of hotel and was not disappointed. As the hotel is in the center we easily walked around all the attractions. I had very comfy room with all needed amenities. And as I am not a frequent reviewer of hotels, I would probably say nothing new about the Herzen House, except calling the hotel - a great place to stay in St Petersburg! A lovely small hotel, not many rooms, so the atmosphere was quite and friendly. I wish I knew about Herzen House in St. Petersburg earlier, I've stayed at some other hotels (don't want to advertise any), but they were with lower level of service. The location was nice, crossing of Bolshaya Morskaya Street and Nevsky prospect. Many attractions are around, including my favorite Isaac’s Square, just few steps from the hotel. 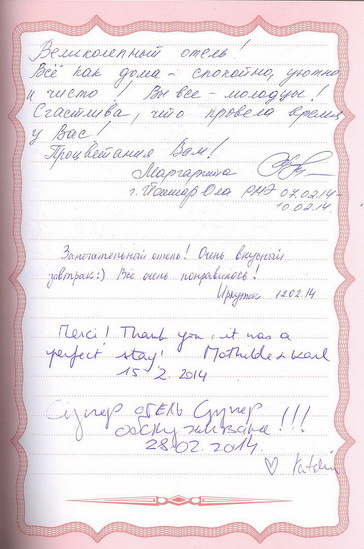 Staff speaking very good English and very helpful with all trip arrangements including Russian visa and so on. I was recommended a nice Greek restaurant nearby. Great value! 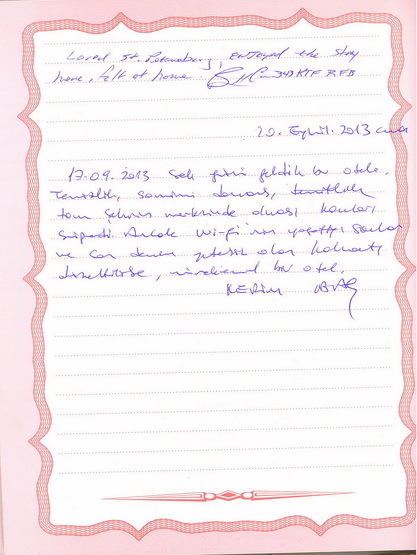 I'm back to Germany and decided to write this review to thank the hotel staff for support and care. I've been searching for a small hotel in the city centre of St. Petersburg, and Herzen house seemed to be one. 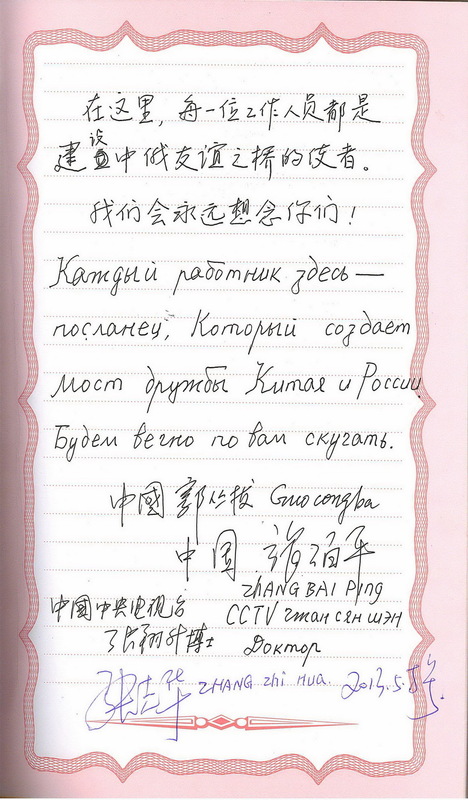 The reception girl did all the best to provide me with detailed information about the city - her advices were helpful (where to go and where to eat, what to visit), although I forgot her name, I would thank the reception generally for being so open-minded and attentive! The hotel left only pleasant and bright memories, highly recommend this place to everyone!!! To all those who did a great Job! Having returned to my university I like to thank you for all your efforts to provide a great time for me in St. Petersburg. I appreciated very much that nice souvenir, which reminds me to come back to Herzen House pretty soon. Have a successful time! 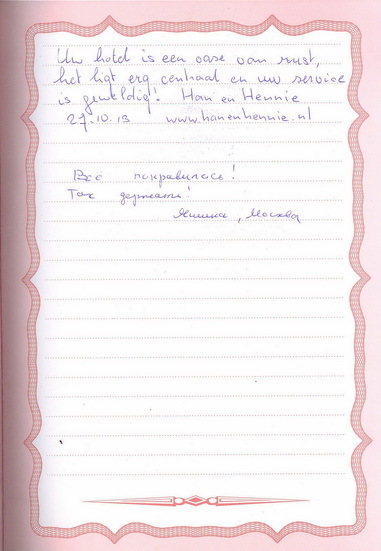 Dear 'Herzen Hotels', Back in Belgium, we can now appreciate fully the pleasure of our stay in your hotel. 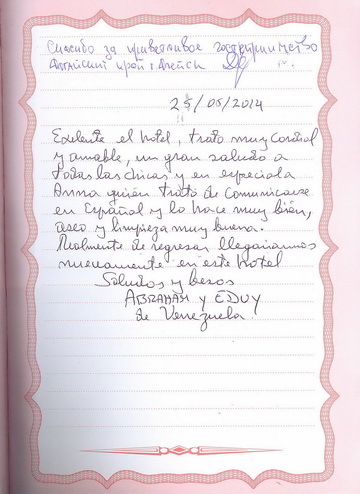 Thanks a lot, and congratulations for the quality and quietness of your hotel. Back to Rome I would like to thank you all for your support and for the time spent at the hotel, we did enjoy our stay. I know it has been a while since I stayed at Herzen House but as promised here is my opinion. I enjoyed my stay very very much. I did not expect the place to be so small, cosy and professional. Rooms are very nice, free WiFi in all rooms is the best thing across Russia. Food is good, tea/coffee 24h service is great too, especially in winter time. And of course at last but not least, the most important - staff. No matter who was at the reception the service was perfect. You are all very helpfull and understandingly forgiving to us strange foreigners. Thank you very much again. Thank you for the excellent hospitality. The experience of living here is certainly fantastic and heart-warming. 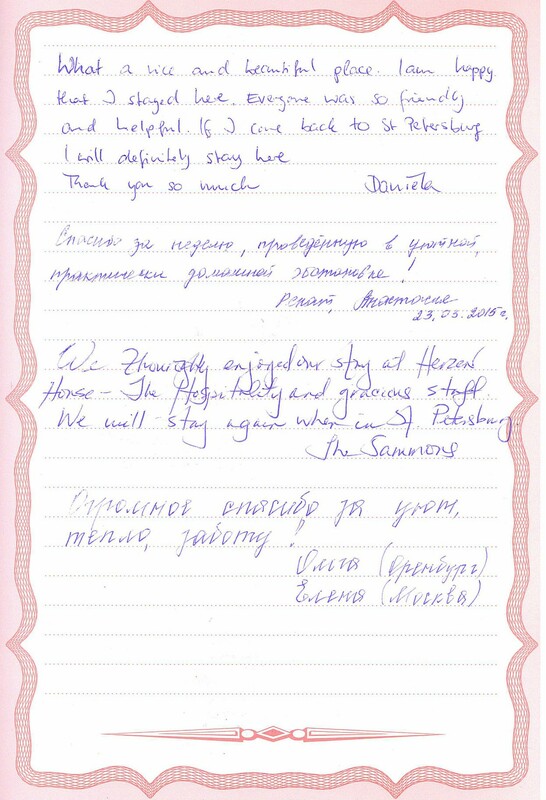 Thank you for making our stay at Herzen House special. We enjoyed St. Petersburg very much. It won't be the last time visiting. Spasibo! Very nice hotel, great value, responsive and friendly staff. I will recommended it to best friends only. 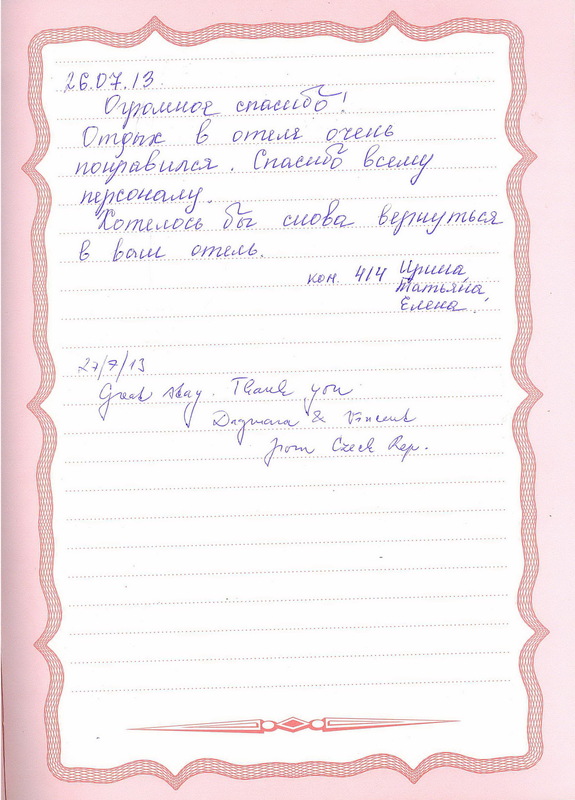 Thank you for a very pleasant stay. 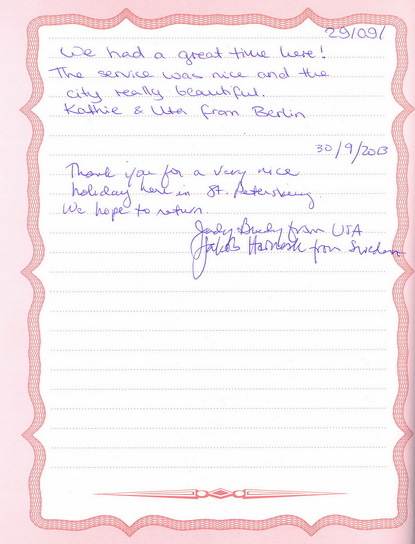 The staff were helpful and very professional. 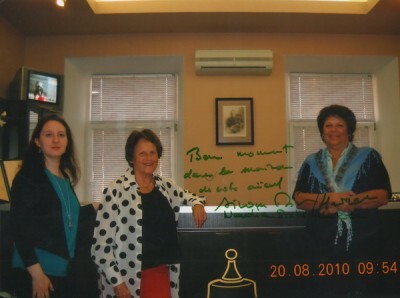 They helped to make our stay most enjoyable with suggestions by helping for tours. No more travelers arrive independent this is most important. Thank you again. 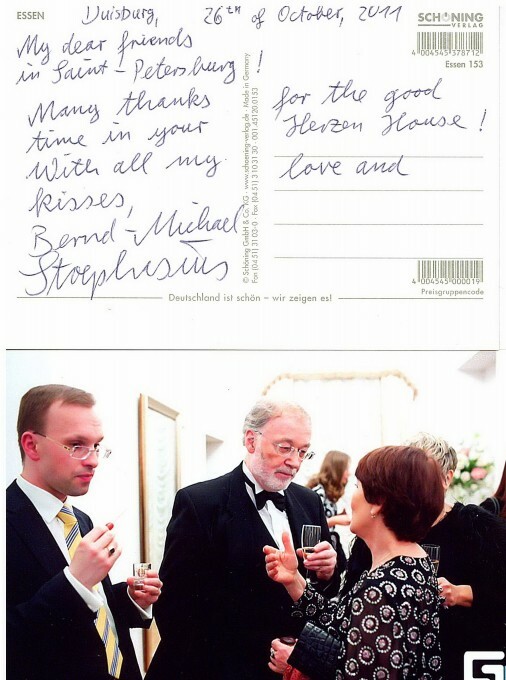 I had a very pleasant stay in St.Petersburg and the Herzen House personnel have a great responsibility for that feeling. I enjoyed very much staying here and I will certainly advise friends and family how nice this hotel is. We both got home fine, with a delay of one day in Chicago, due to weather. I have been to the Dr. here and they now have me in a full leg cast for my broken ankle. We certainly appreciate all the help your front desk gave to both of us, particularly to my wife after the accident. Especially like the Vodka bottle you gave her that was the blue delft type glass. Blue is our favorite color, and it is a wonderful reminder of good times in St. Pete. Again thanks for your kindness, help and concern for the Harlans. The Hezen House team are a wonderful, helpful and supportive group of people. We were welcomed with smiles + this made us feel comfortable on our arrival. 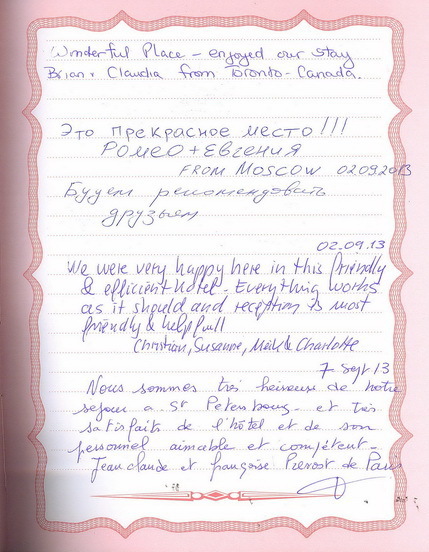 We have really enjoyed our stay here in Russia. The hotel is so central and comfortable, it has been a blessing! Thanks again! This is the best hotel in the history of the past few days. We love you. And if you are ever in the USA and need some Mexican food and a disco we will have to separate the two because in the USA Mexican restaurants just do not turn into disco's after dark. A French marathon group: on behalf of all my clients, I would like to thank all the staff of Herzen House for their kindness, friendship. It's the start of a long business time. 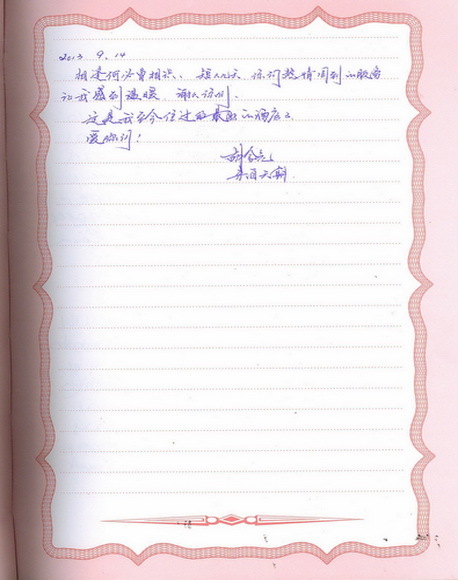 All the best and see you in 2009. 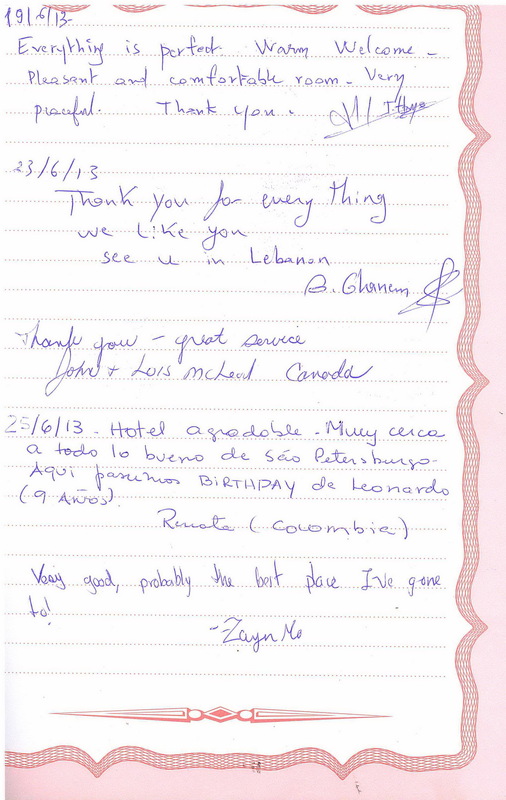 Thank you for chosen Herzen House Hotel. 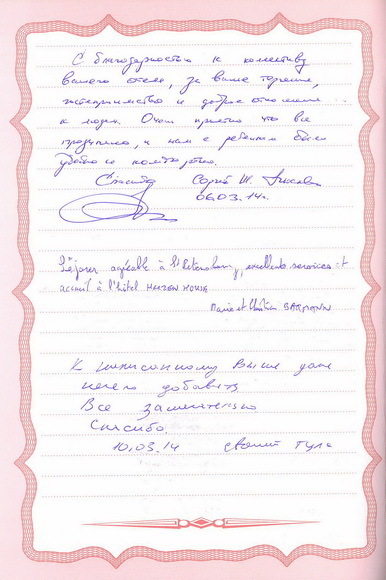 We kindly ask you to spare few minutes to leave your true-to-life visitors review. Your comments and suggestions for further improvements are highly appreciated.